If you have used imported topsoils in the preparation of your site for seeding you may notice inconsistencies in the new growth. Most topsoils on the market are manufactured products and are nothing more than collected soil from construction sites amended with anything from sand or peat moss to sawdust, beauty bark, manure or sludge. The problem arises when the base soil is mixed with a high percentage of organic materials (i.e. bark, sawdust etc.) that are not decomposed. These organic products require a large amount of nitrogen for the microbial activity of decomposition which in turn leaves very little nitrogen available for the infant grass plants. The result can be stunted and inconsistent growth, yellowish color of the grass and, in extreme cases, areas of little or no growth. Raw organics need time to break down to a point where they will not tie-up nitrogen. It may take a few months, maybe even a year. 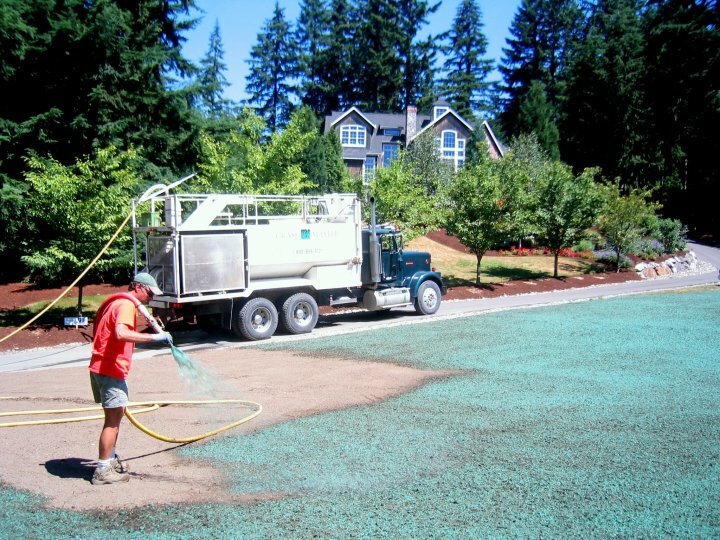 This does not mean it will take this long to have a beautiful lawn but you will have to fertilize more frequently (once a month) to compensate for this nitrogen drain. Nitrogen does not last long in the soil. Every time you water the lawn nitrogen is flushed through soil. Frequent fertilizer applications, at about one-half the recommended rate, will help replenish the nitrogen and feed the grass plants. While certain grass species are more tolerant of shade than others all turf-type grasses prefer a sunny site. There are certain steps you can take to encourage growth in a shady environment. First, try to increase the amount of light reaching the lawn by thinning or removing existing branches and trees. 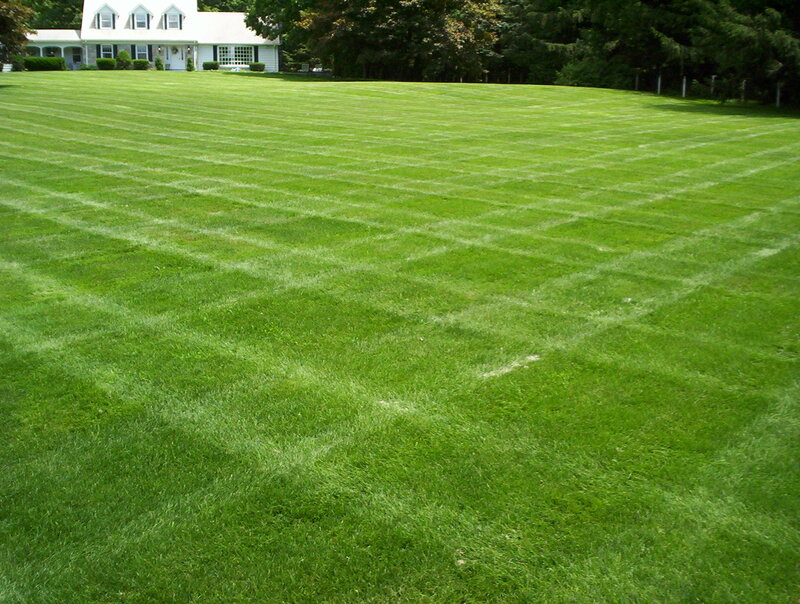 Then, adjust your maintenance practices to help your lawn compete with the remaining trees. Water regularly and deeply so tree roots do not have to reach to the surface to receive moisture. Mow a little higher to allow more available leaf surface to catch what light there is. And fertilize sensibly; overfertilizing is a major problem of grass grown in the shade. The presence of moss in your lawn is a result of conditions such as too much shade, poor drainage and incorrect amounts of fertilizer. 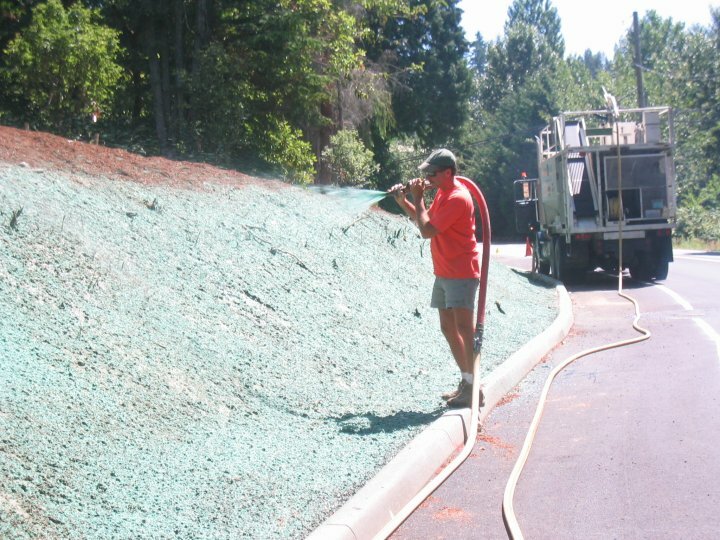 On lawns that are less than one year old we recommend that you rake the affected areas and fertilize. Lawns that are older than one year can be treated with any of the products available for moss control as long as the directions are followed. Either of these options will only be a temporary control. The only way to stop the growth of moss is to find the cause and correct it (i.e. regrade the area for proper drainage and/or remove a few tree limbs to allow more light). By following the general guidelines in this site you should not have any major problems with insects and disease. However, from time to time problems do occur. Should you feel you are having problems it is recommended that you consult a licensed pesticide applicator, experienced in this field, to diagnose the problem before you spend the money on chemicals that may not be necessary or appropiate. Crane flies, cutworms, red thread, brown patch, leaf spot and fairy ring are examples of some of the common problems that can easily be taken care of when properly diagnosed and treated. 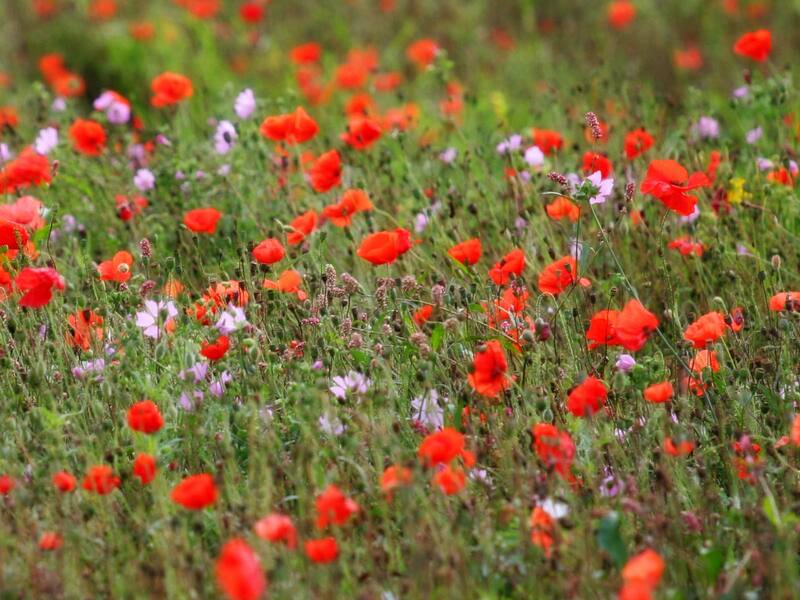 Weed seeds permeate most soils by the millions. They find their way into the soil in many ways: wind, lawn equipment, organic matter. Once in the soil they wait, dormant, until provided with sufficient conditions to germinate and grow. The environment being provided to establish your lawn is also optimum for weed growth. Should you experience weed growth along with the developing lawn and you wish to eliminate them chemically, we recommend that you contact a licensed herbicide applicator that can guarantee no adverse affect on the turf itself. On an established lawn you can eliminate most weeds by mowing at the right height, fertilizing adequately and watering sensibly. A healthy lawn is not troubled much by weeds.